UCF is a non for profit organization that is located here in Greenville South Carolina. Our mission is committed to expanding opportunities, enhancing the quality of life, and the progression of at-risk children, children with disabilities, and their families through various educational recreation, and social programs. Upstate Circle Of friends was founded in May 2006 by the President and CEO, Ms. Deloris Barksdale, have always had to rely on family members to help with their special needs son, Aaron. In April 2006, she was challenged with finding someone to care for him during the summer. It was at that time, she decided to start a summer program for special needs children. Consequently, she resigned her position from the Greenville County School District and established Upstate Circle of Friends. During that summer five special needs children were served. In February 2007, George Singleton, Vice President and COO of Upstate Circle Of friends partnered with Ms Barksdale and continued to strengthen and assist with additional enrichment and funding resources that focus on the Adult and youth programs of UCF. In May 2007, UCF served 20 special needs children and 50 at-risk youth from Fleetwood Apartments and Aladdin Manor Apartments. Because of this growth, Ms. Barksdale's staff increased from two in 2006 to ten in 2007. In the fall of 2007, she began an after-school program, which served 15 youth who were at-risk through a partnership with the Department of Juvenile Justice. In the summer of 2008, UCF enrolled 130 youth. 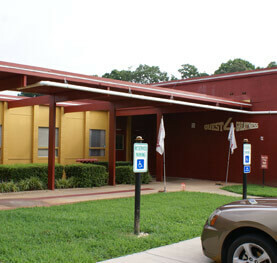 Twenty special needs children were served, and 110 at-risk youth were served. In 2009, the summer program enrolled 220 students. Because of the statewide budget cuts, the enrollment decreased to18 special needs students. Having no other programs in Greenville County like this, parents with special needs children have had to previously give up their careers to stay home and care for their children. UCF brings hope to these families by helping with economic hardships that accompany single parent/special needs responsibilities. During the summer of 2011, Upstate Circle of Friends was approved to provided Health Lunches and Snacks to over 100 at risk youth along with partner the Greenville YMCA. Ms Barksdale has been selected as one of the "seven" women making history in Greenville County, she was recognized on, March 29, 2010, at the Carolina First Center. August 2011, Upstate Circle of Friends was recognized by the Department of Juvenile Justice for services that promotes Diversity of Community Partnerships & Programs September 2012, Mr. Singleton was selected to be a part of the Furman University Diversity Leaders initiative's Upstate class XIII. May 17, 2013: National Arms Forces Day: The resident Harry S. Truman led the effort to establish a single holiday for citizens to come together and thank our military members for their patriotic service in support of our country. On August 31, 1949, Secretary of Defense Louis Johnson announced the creation of an Armed Forces Day to replace separate Army, Navy, Marine Corps and Air Force Days. The single day celebration stemmed from the unification of the Armed Forces under the Department of Defense. Upstate Circle of Friends celebrated this day with the Naval Operational support Center Greenville (NOSC). August 26, 2014 Upstate Circle of friends received approval from the South Carolina Public Charter School District to begin enrollment for Quest Leadership Academy in the fall of 2014. The k4- 12 grade charter School will establish a solid, core based educational program and develop exceptional learners and leadership scholars who achieve their highest potential. May 2016 Upstate Circle of Friends celebrated with supports, family and friends the tenth year of making a positive difference in the lives of thousands of Greenville, SC youth and their families. September 2017 Upstate Circle of Friends and Quest Leadership Academy celebrated the construction and competition of The Playful Playground where children experience physical and mental development and growth while simply being carefree kids in an environment of safety and inclusiveness.